Derwentwater, at 3 miles long, 1 mile wide and 72 feet deep, is just a short stroll from Keswick town along well maintained footpaths. 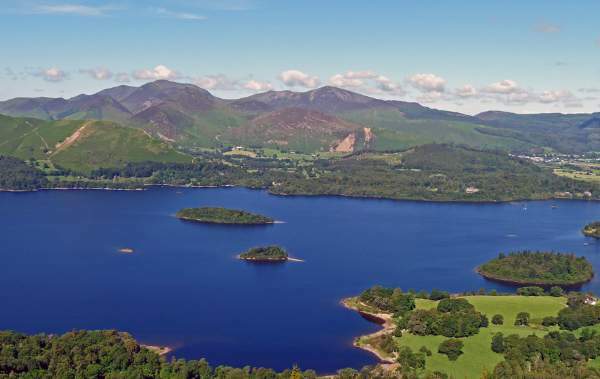 Known also as “Keswick’s Lake”, Derwentwater is fed by the River Derwent catchment area in the high fells at the head of Borrowdale, and has a long historical and literary background. The lake is very much a landscape of moods, varying from the dramatic waves splashing against Friar’s Crag when driven by southerly gales, to the absolute mirror calm of early mornings. There are four main islands, Lord’s Island, Derwent Island, St Herbert’s Island, and Rampsholme Island. Smaller islands are Park Neb, Otter Island, and Otterbield Island. Close to land, opposite Stable Hills, Lord’s Island was once the home of the Earl of Derwentwater. The ruins of the great house can still be discerned in the undergrowth. Local legend has it that the Countess of Derwentwater fled the house on Derwentwater after the arrest of her husband for his part in the Jacobite rebellion of 1715. The story goes that she was carrying a fortune in jewels which were lost during her mad ascent of a cleft on Walla Crag, giving rise to the name “Lady’s Rake”. Almost certainly completely untrue. The largest of the islands on Derwentwater, St Herbert’s is named after the hermit, or anchorite, who lived there in the 7th Century. The remains of his hermit’s “cell” can still be discovered in the undergrowth today. The island is always referred to simply as Herbert’s Island by long time locals. The smallest of the four main islands on Derwentwater, Rampsholme takes its name from the old Norse for the wild garlic that grows in abundance there in the spring. Usually, unless the water levels are very high on the lake, there is a convenient sand and gravel spit extending from the north end of the island that is good for landing small craft. This is the large island opposite the Keswick Launch boat landings near the Theatre by the Lake and is the only inhabited island on Derwentwater. It is prohibited to land on Derwent Island. The house is owned by the National Trust and is rented out to private tenants. The house is open to the public on five days per year. All of the major islands are owned by the National Trust, as is much of the shoreline. There are many nesting geese and ducks in the Spring on all the islands on Derwentwater. Take care you do not disturb the wild life at this time of year in particular. Specifically, the National Trust ask that you do not land on Lord’s Island during nesting time. Derwentwater and (from left) St Herbert’s, Rampsholme and Lord’s Islands. The most popular way to enjoy the beauty of the lake, other than by walking the paths around its shores, is to board one of the Keswick Launches which operate round the lake. 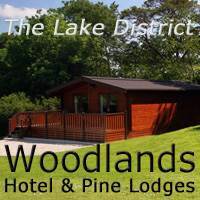 The main boat landings are just a 10 minutes walk from the centre of Keswick town. The launch stops at Ashness Gate, Lodore, High Brandlehow, Low Brandlehow, Hawes End and Nichol End. You may either take a cruise right around the lake or hop on and off at the various landing stages. There is an extensive selection of Adventure Activity companies, guides and instructors for all abilities based around and on Derwentwater. Though there is plenty of activity with several sailing & windsurfing centres and providers and rowing boats, and motor boats for hire, Derwentwater is remarkably peaceful. For the family, whether picnicing, fishing, swimming or just walking, the lake is holiday in itself. The town of Keswick is at the north end of the lake, and the valley of Borrowdale at the southern end. There is a National Trust shop just by the lake at Lakeside Car Park, from where leaflets can be bought describing Family Walks round Derwentwater. Between 1885, when she was 19, and 1907, Beatrix Potter spent nine summer holidays at Lingholm and one at Fawe Park, the two stately homes whose estates now occupy most of the north western side of Derwentwater. The two houses, their gardens and the surrounding landscape provided material for several of her books. The Pheasant Inn – a superb location beside Bassenthwaite Lake and one of the Lake District’s most historic and charming Inns. Approx 13 minutes from Derwentwater. Swiss Court Guest House – 4* in central Keswick with some private parking. 12 minutes stroll to Derwentwater. 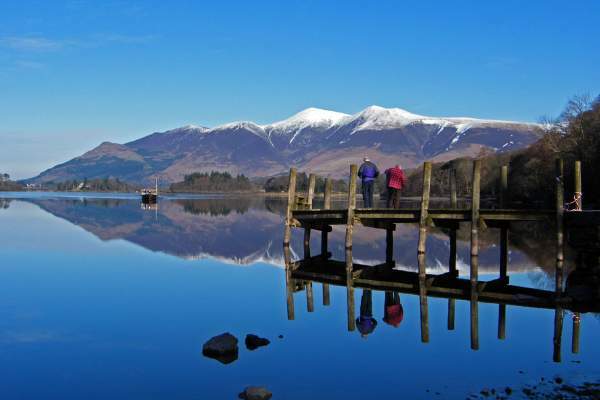 Keswick Holiday Homes – Holiday Cottages & Apartments in the heart of Keswick, most within easy walking distance of Derwentwater. 4* San Ging – cottage sleeping 8 on the edge of the town centre. 25 minutes walk to Derwentwater. 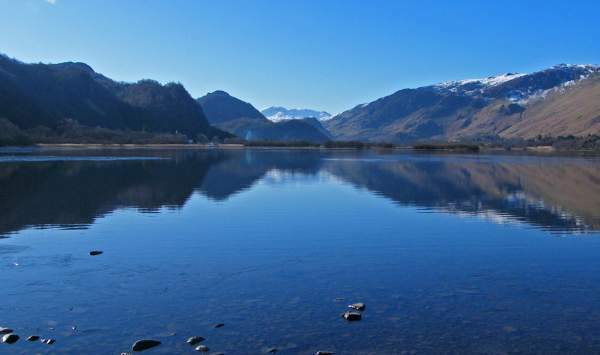 Stay in Borrowdale – 2 cottages sleeping 4 each in Borrowdale. 15 minutes walk to Low Brandlehow Landing on Derwentwater. 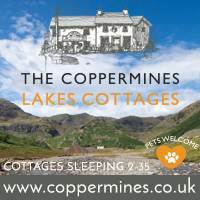 Sykes Cottages – over 140 holiday cottages in and around Keswick, many within easy walking distance of Derwentwater. 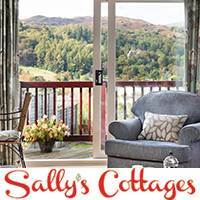 Sally’s Cottages – over 200 holiday cottages in the Keswick area, many within easy walking distance of Derwentwater.